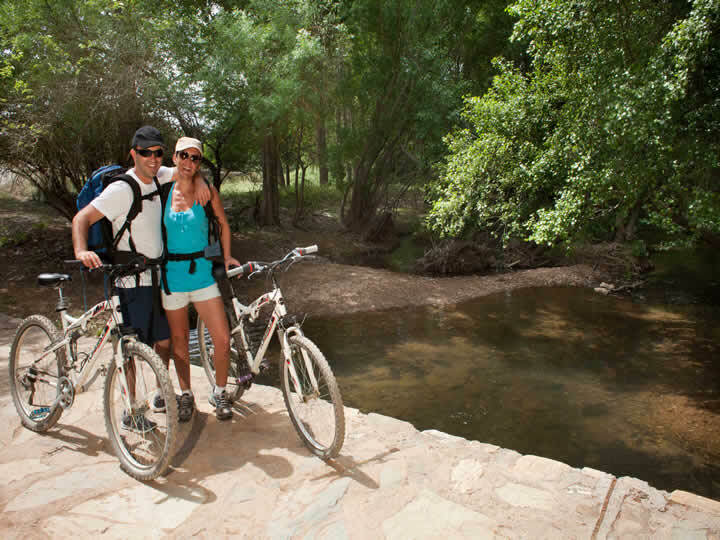 There are times when mineral deposits are more than desolate landscapes. 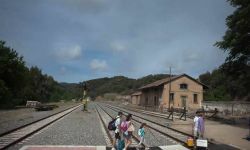 Sometimes mining has generated an impressive spectacle spaces. 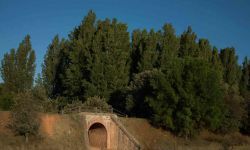 This is the case of the mining area of Cerro del Hierro, in the Natural Park of the Sierra Norte de Sevilla. 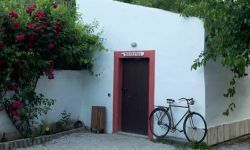 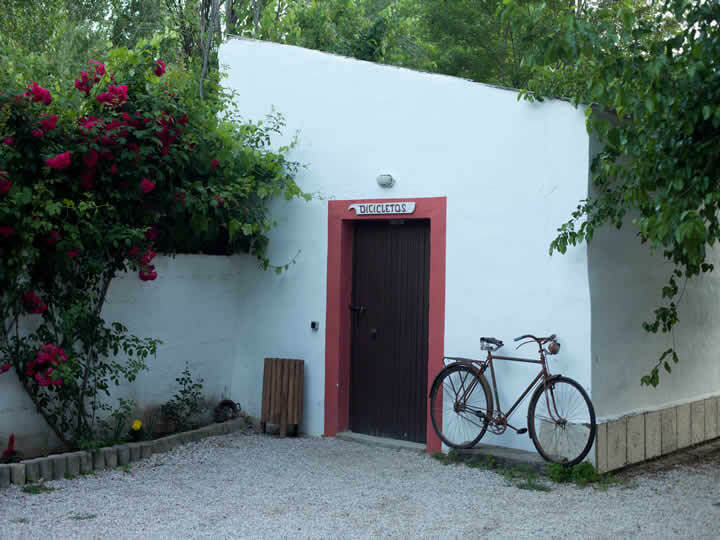 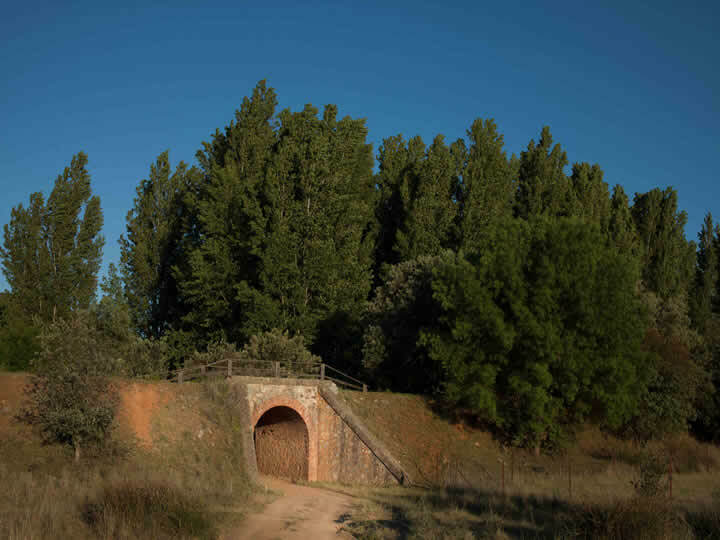 This enclave has privileged access by a former railway trace, recently refurbished by the Ministry of Environment of the Junta de Andalucía. 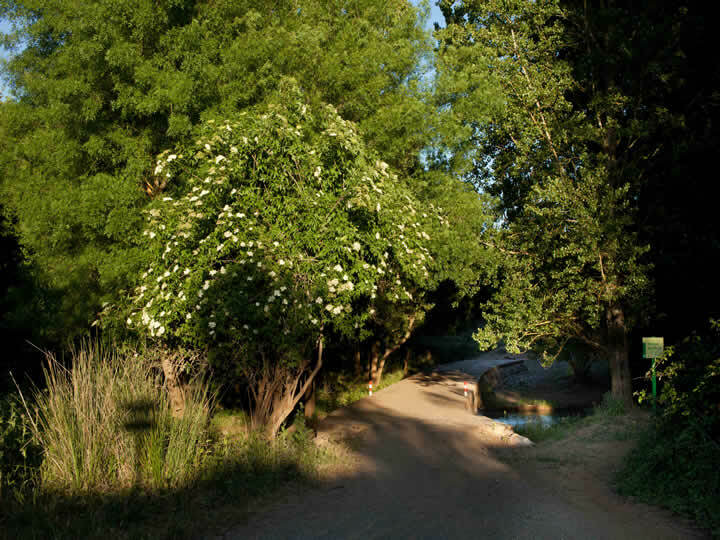 A route between landscapes, surprisingly green in Seville context that fits. 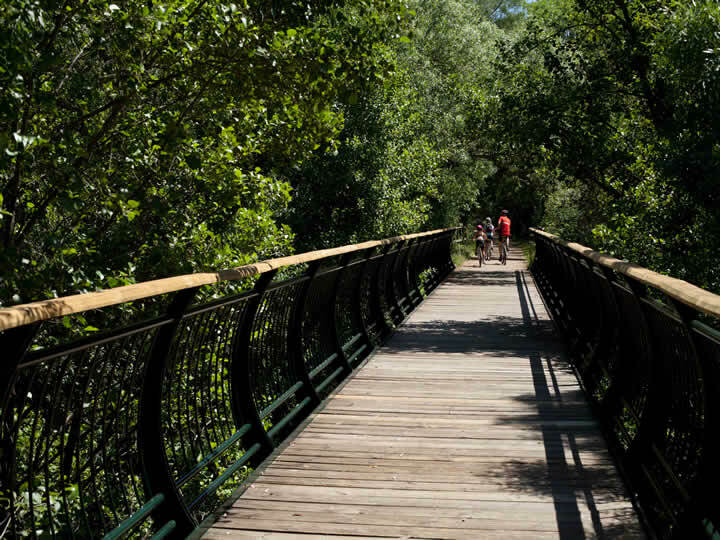 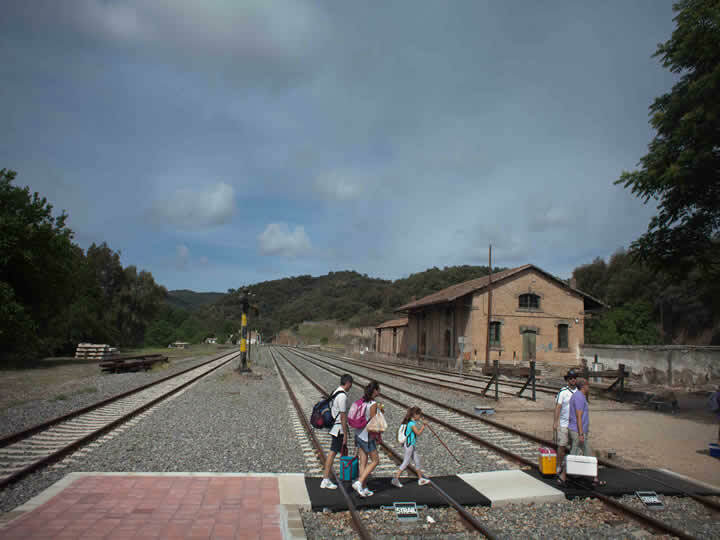 The Greenway of the Sierra Norte de Sevilla runs, mostly, by the old branch railway line linking mining Cerro del Hierro with Zafra-Seville line. 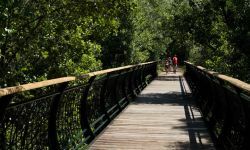 Its first section runs through a cattle track that goes into the Natural Park shows us, especially the important natural heritage of this protected area. 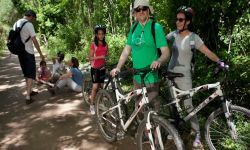 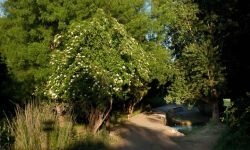 Enjoy with your family and friends some of the most beautiful natural environments of Andalusia "Greenway in the Sierra Norte" situated only 200 meters. 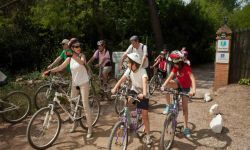 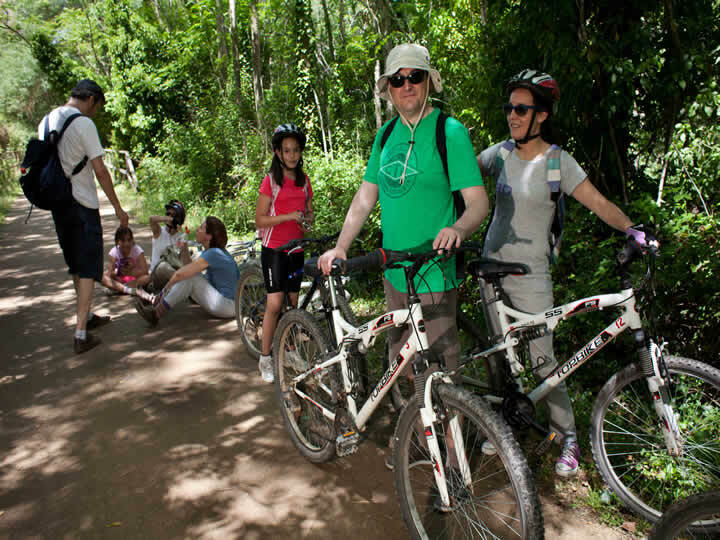 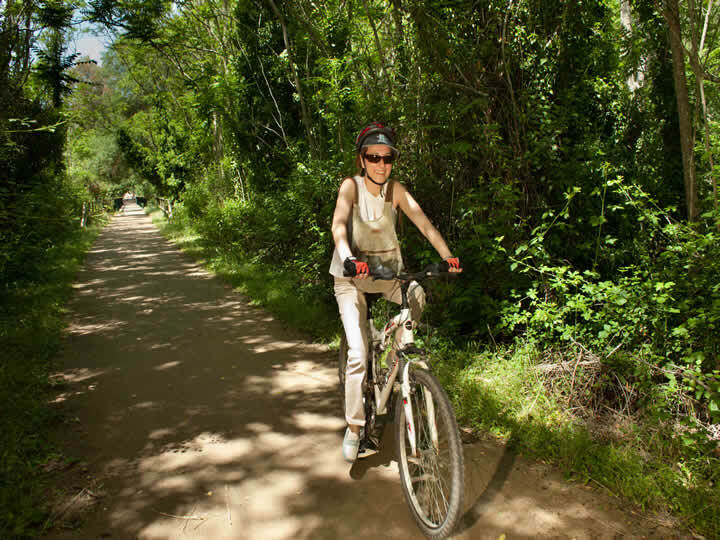 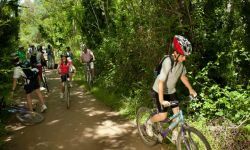 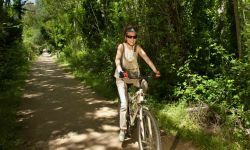 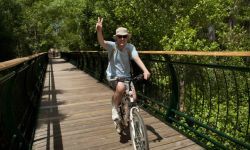 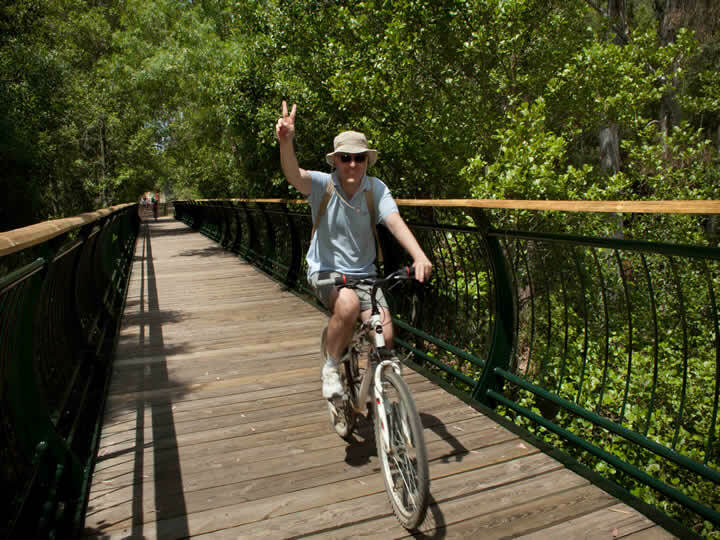 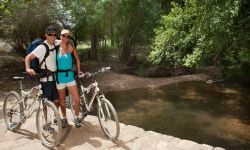 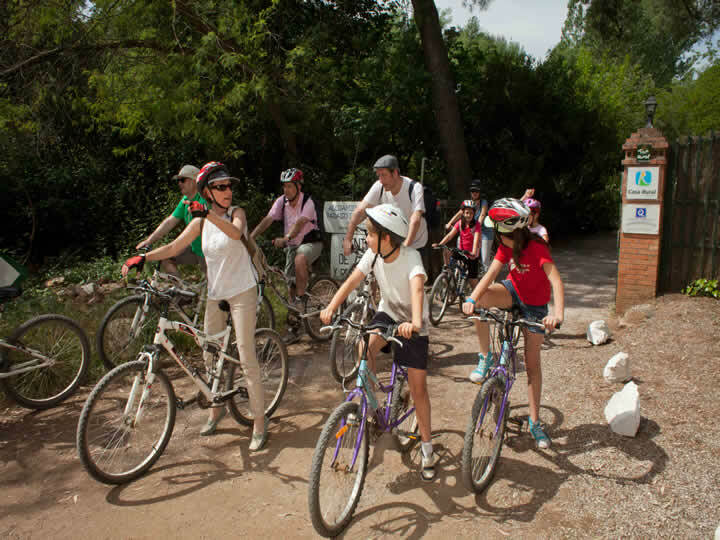 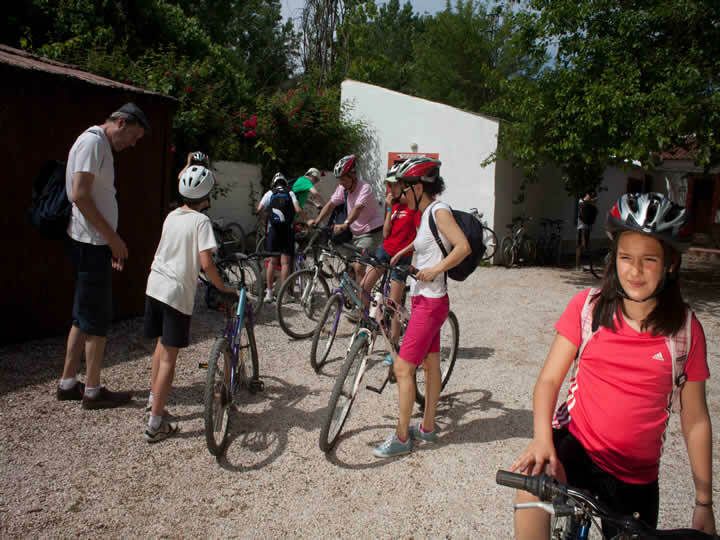 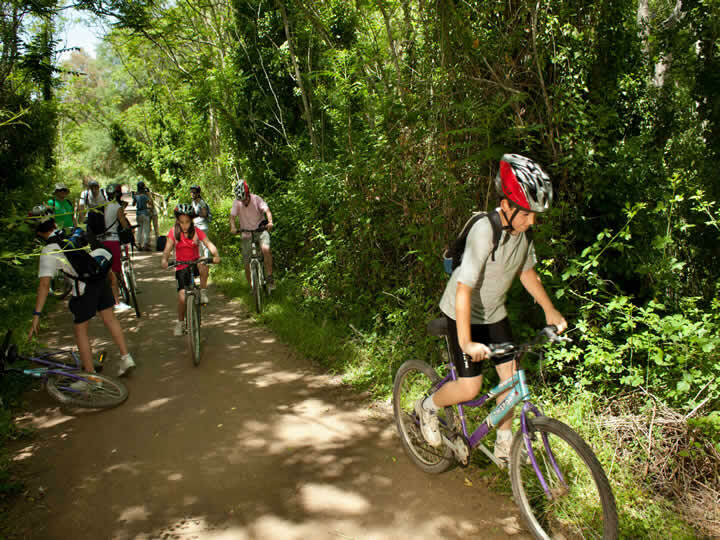 We have a variety of mountain bikes for all family members to enjoy the journey. 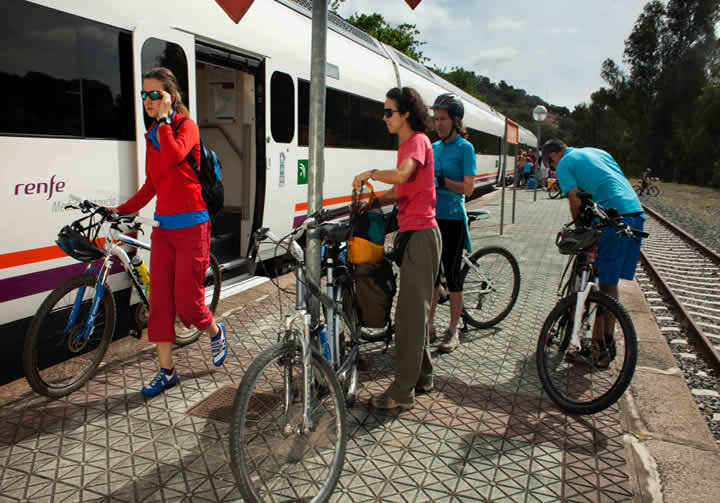 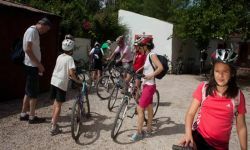 Besides adequate equipment to practice safe cycle tourism.